Indeed all of us love the hustle-bustle of the city. The lights, the traffic, the nocturnal life. All these elements make us excited. 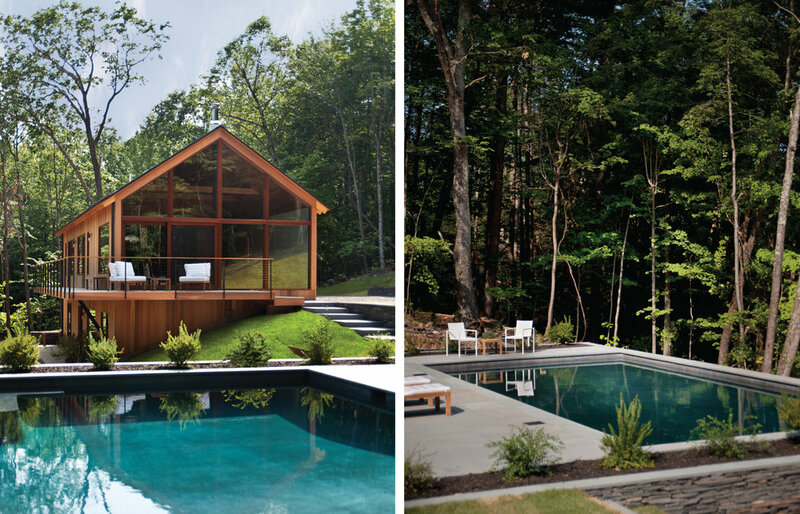 But after a while, we want to escape from the very city we love to a secluded place where we feel one with the nature. 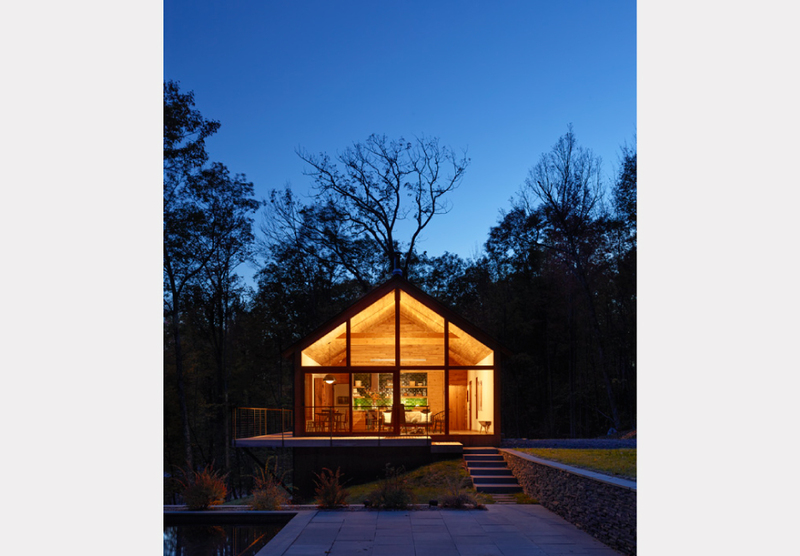 Lang Architecture firm has launched the Hudson Woods Project which reinterprets design with nature. 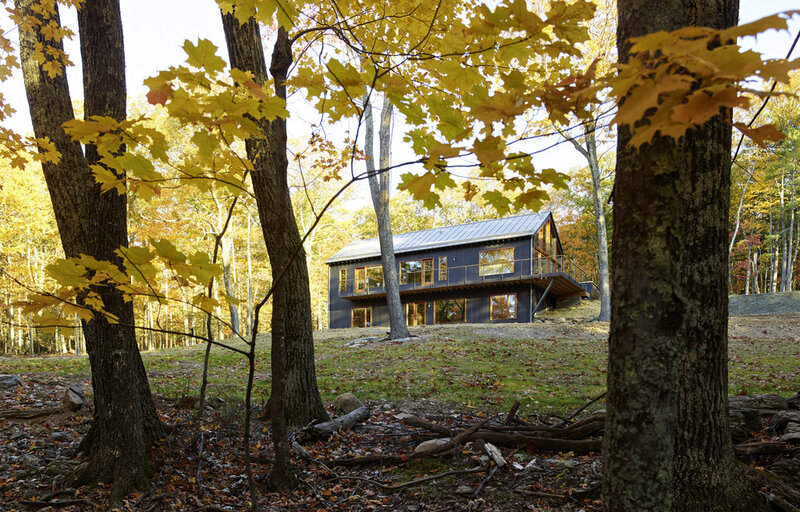 These New York cabins are being modernized with sustainable materials like solar panels and hydronic heating system. 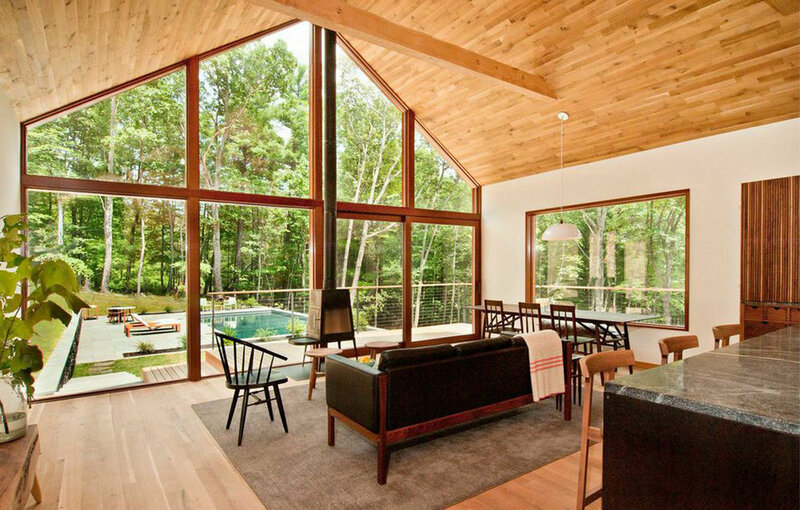 These serene cabins are inspired by Scandinavian and Mid- Century designs, with white oak interior walls and oversized windows which welcome loads of natural sunlight in. All this plus an amazing view of the mountains of Catskills of New York.